The mother of man murdered five years ago has said she is heartbroken his father died before seeing their son's killer brought to justice. 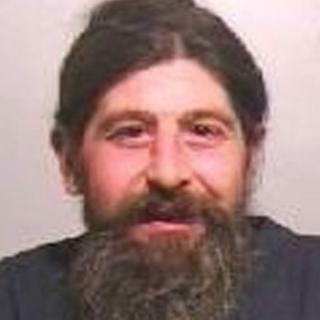 John Roberts, 32, was found dead at his home in Gateshead, on 16 December 2012. Despite 11 arrests over the death of Mr Roberts, also know as John "The Badge" because he sold football badges, no-one has been charged. His mother Jennifer said her husband, who recently died of cancer, never gave up hope the killer would be found. Mr Roberts lived alone in Park Terrace, where he was found with serious head injuries in what police said was a "brutal attack". Mrs Roberts said: "In May John's father David died without ever knowing who took his son's life or why they killed him. "I'm now left to carry the burden of grief and the not knowing about John on my own, as well as the grief of losing my husband. "I want to plead with those who were responsible or with anyone who knows something and hasn't yet had the courage to come forward." Det Ch Insp Lisa Theaker, of Northumbria Police, said: "This murder may have taken place five years ago, but the investigation is not closed and it never will be until we catch those responsible. "It saddens me that David passed away before being able to see his son's killer brought to justice. "We will act on any new information and if anyone thinks they know anything then I would urge them to come forward."